We have a little saying around the office, "Never trust anyone wearing red pants." 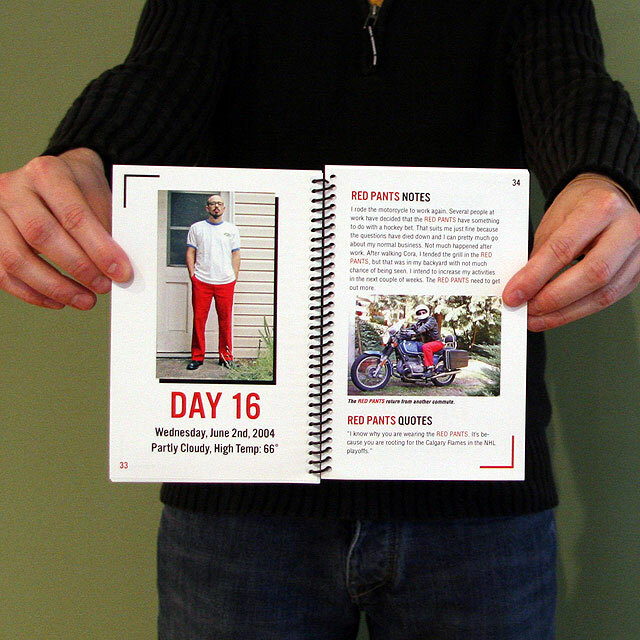 We'll make an exception for Gibson, who wore the same pair of 34x30 Haggar red denim pants for 30 days straight. He calls it "Performance Art," we call it "Exhibitionism," but who cares what you call it, it makes for good reading. "DAY 16: I rode the motorcycle to work again. Several people at work have decided that the RED PANTS have something to do with a hockey bet. That suits me just fine becuase the questions have died down."